Born into a fisherman family with over 50 years of experience, Nimalen used to accompany his father, a fisherman, as he went fishing in a wooden canoe. After years of hard work, they purchased their first engine boat in 1984. It went off from there and in 2000, Nimalen started his own big game fishing business. After catering to a variety of satisfied clients, he was able to buy his first boat, Le Performant 1. Demand kept rising, and along came Le Performant 2, 3 and 4! Captain Nimalen owner of Le Performant Sport Fishing, and the operator of 4 boats in the fleets. He was raised in a family of anglers and is a 3rd-generation fisherman. His father is a well-known angler in Cap-Malheureux. Nimalen has loved fishing ever since he was a child and he now holds several fishing records with his 3 boats. 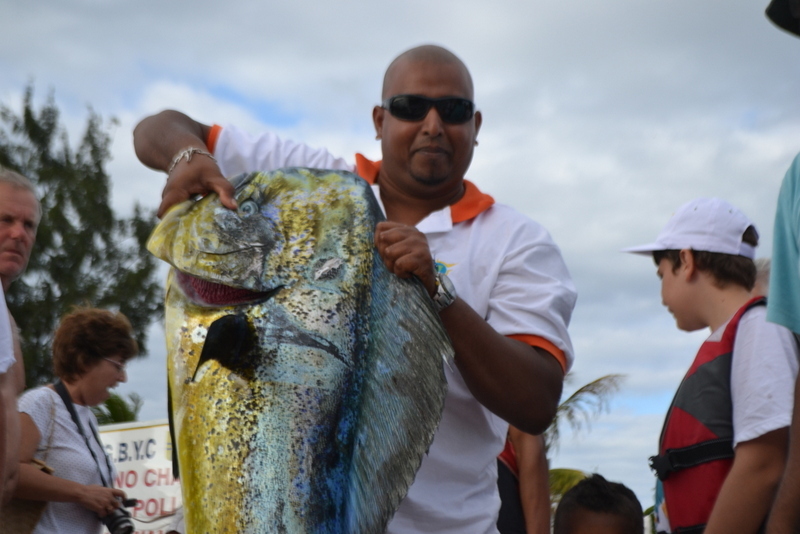 We welcome everyone that wants to visit Mauritius and enjoy a day of fishing aboard Le Performant along the way. The crew is fluent in all types of fishing practiced in these waters, including big game fishing, bottom fishing, popping and jigging, as well as light tackle fishing.